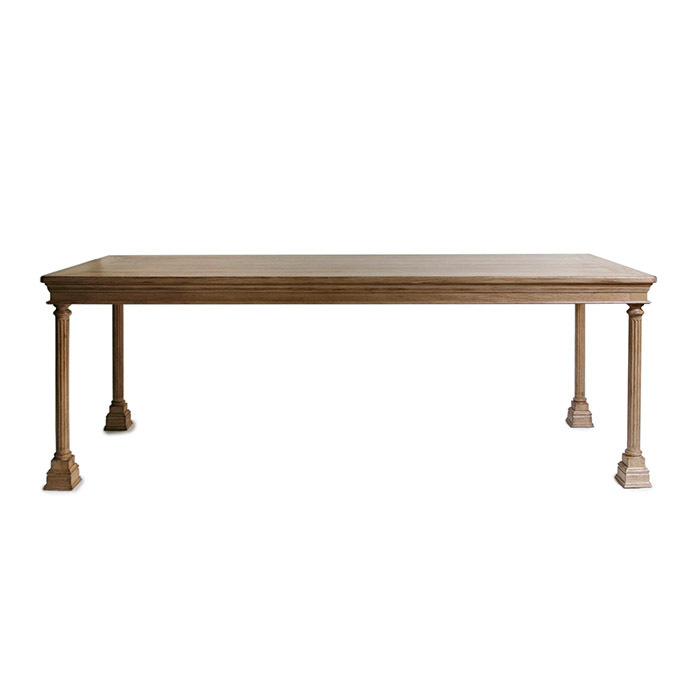 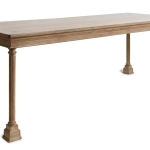 Dining table, shown in bleached rift-cut oak. 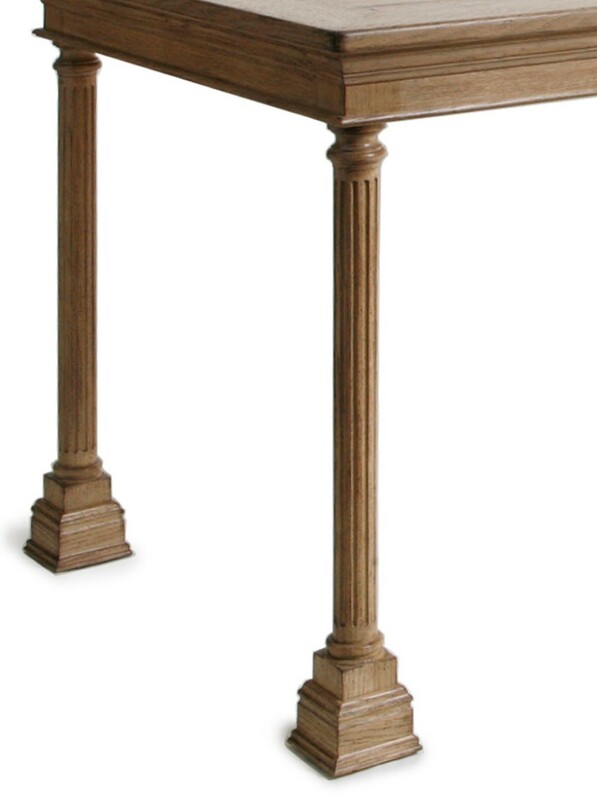 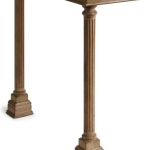 Features fluted column legs atop square plinth base. 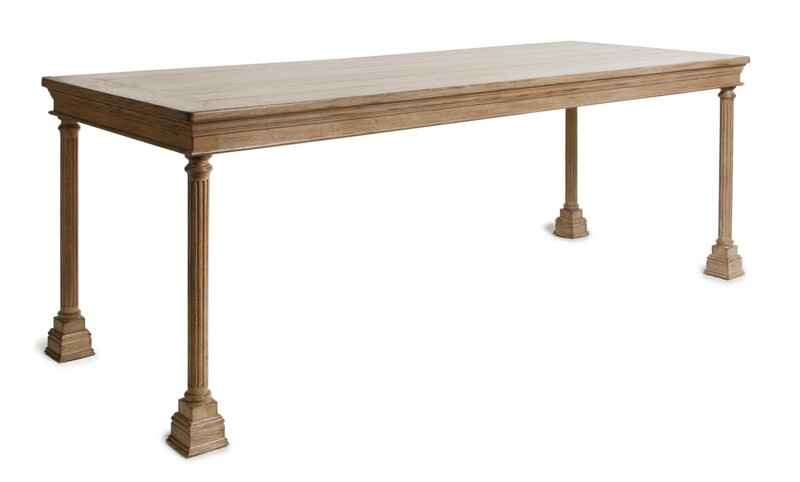 Large table has six legs. 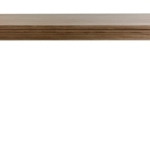 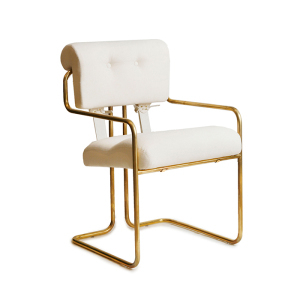 Available in two standard sizes.